Dad = (apparently) impoverished Hasidic wool merchant reputed for his prowess in Torah Study. Bharani-Surya suggests a money-changer. His father was married 3 times. Uttama-Surya + Rahu + Zukra would suggest that behind Rahu's fascinating camouflage, dad was an effective broker (Zukra) of deals in commodities and currencies far beyond wool. Dad was married three times and the family moved often. Nevertheless young Freud received a substantial education due to uttama-Surya ruling 4th-from-uttama-Chandra. Surya-Chandra 10-4 angle also indicates the mutually respectful social alignment of the parents. Freud's Vrischika radical lagna occupies 6/8-from-Surya. Sigismund transformed his father's flamboyant esotericism (8) into the new medical (6) interpretation of the forbidden. Baby Sigismund was born with a membrane shielding his face and head called the caul (caput galeatum). In his own era, Freud was a medical-profession celebrity, but his antagonists were just as flamboyant (Surya) as himself. Rahu-amplified ego and the (eventual) collapse of psychoanalytic theory. Freud's ideas (Surya) have lost most of their vigor due to a lack of supporting data after more than a century of seeking confirmatory proof in psychiatric clinical practice. Freud's intellectual ego-membrane (Surya) was greatly amplified by Rahu. When told that his books were being publicly burned, Freud said "what progress we have made! In the Middle Ages they would have burned me; now they are content to burn my books ". Luckily Freud's Vimala Yoga protected him from those who would attack taboo-breakers. AsAs the eldest son of a young woman who had an elderly husband, Sigismund had an especially close relationship with his mother Chandra in classroom-7. Mom was a lifelong supporter for his career (7). Freud's mom stayed by his side for the great majority of her son's life. She died when he was 75 years old, and he himself died only seven years later age 83. Mangala-11 vigorous activity in domains of scientific exchange, economics, marketplace linkages, social networks, communities, connections. Freud was highly active in the professional assemblies of his day. After years of shared intellectual and psycho-medical inquiry, Memories Dreams Reflections 1875-1961 Carl Jung 's understanding of the structure of the subconscious mind began to diverge from Freud's viewpoint, and Jung split from Freud's group in 1912 during Freud's intensely polarizing catalysis experience Shani-Rahu bhukti. Kanya Mangala is effective for criticizing ideas but very unhelpful for criticizing people, and Jung had had enough. Freud won the coveted Goethe Prize in 1930 during Budha-Shani chidradasha, marking the end of Budha's peak bhukti of publications. Soon afterward, his books were banned and burned by Nazi attacks on Jewish writers. Luckily Freud's Vimala Yoga protected him personally against imprisonment, even if his books were destroyed. When Jews were being aggressively imprisoned and exterminated in Austria, Dr. Freud's friends and colleagues facilitated his undisclosed movement to London (Budha rules 8 secrets). They were hoping that, although he was already suffering from advanced cancer of the tongue, his move to greater physical safety might help Freud to continue writing. 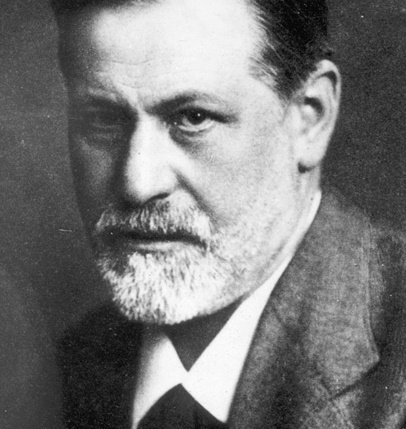 With much help under terrifying emergency circumstances (Budha rules 8), Freud was removed to London during Nazi exterminations. He was able to finish several books albeit these were written by assistants using his famous name uttama-Surya-pride. His books were published in London by A Room of One's Own 1882-1941 publisher Virginia Woolf. Guru-5 in 3rd-from-3rd many siblings ++ Guru in the emotionally motivated community-linking, economically gainful, profit-regulated, friendly, participatory, goal-oriented, socially-networked 11th-from-Chandra indicates many siblings. Despite his parents' early poverty and moving from city to city while trying to improve their luck, Sigismund was a superb student who loved to read in his native German and scriptural Hebrew. As a student, he read proficiently in French, Italian, Spanish, English, Latin and Greek = Budha texts + uttama-Chandra rules 9-understanding. Tragically, after Freud died safely at his home in London via physician-assisted suicide, his four elder sisters perished in the Nazi extermination labor camps. They all died within his posthumous Zukra-Zukra swabhukti * Zukra rules Ketu-12 sisters decease in a prison. 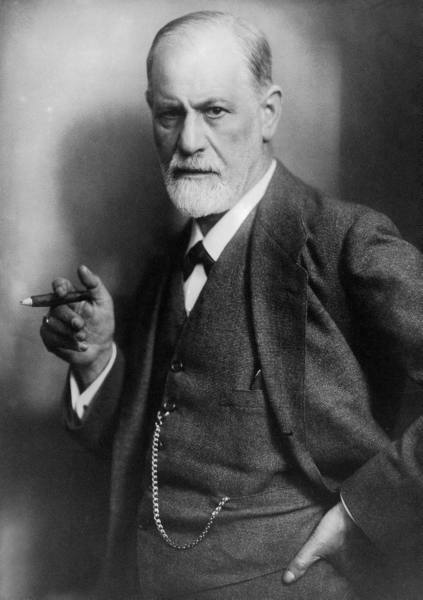 Freud was an addicted smoker of cigars and cigarettes. He believed that smoking improved his mental performance. The meetings of his Vienna circles of physicians treating nervous disorders were reputedly great smoke-fests with all the wise doctors smoking like chimneys. Freud was rarely seen without a cigar or some type of smoking device in his hand. In 1923 he was diagnosed with malignant epithelioma (mouth cancer) from the smoking, but he did not stop smoking. Rahu smoke. Sigmund Freud produced six children with his avowed wife Martha,. Due to Zukra-yuti-Rahu, he also conducted a lifelong affair du coeur with Martha's younger sister Ms. Minna Bernays . Dr. Freud's nativity shows Zukra with a fiercely entitled Bharani-Surya and a taboo-breaking Azwini-Rahu. His wife (Zukra) tolerated Freud's long-term sexual alliance with her own younger sister, and encouraged him to explore (Vrischika lagna) the psycho-sexual complexities which promoted the exciting (Rahu) new (Meza) field of hidden motivations (psychiatry). His European professional standing as a thought-leader and professor allowed Freud and many of his extended family to escape to London under dire threat. However at age 83 and in extremely poor health, Freud died a year after arrival in London, via physician-assisted suicide (Zukra-6 yuti Rahu Azvini) due to unbearable pain of his cancerous jaw, Sept-1939. Vimala Yoga protects Freud from the horrible fate of torture and death in Nazi prison camps which befell many of his family members, including four of his sisters. Protected by Vimala Yoga, due to Zukra rules-12 occupies 6 Freud paid little attention to the Nazi predators surrounding him, until it was almost too late.